As alternative medicine homeopathy is regarded as one of the most important branches of medicine. The best part of the medicine is that it does not have a side effect and therefore it is considered to be safe and secure. In 1796 this branch of medicine was developed to make sure that the people are provided with relatively safe cure methods. Samuel Hahnemann is the person that is credited with the development of homeopathy. The main thing which is to be noted in this regard is that homeopathy is not a science but it is interpreted as such. The preparations of homeopathy are not as effective as the allopath but still many people all over the world use the science to make sure that the best results are obtained. In Canada, there are many organizations which are working for the betterment of the science in every possible way. It is done with the help of the creating awareness and making sure that work and further advancements are implemented in the field. Astonishingly in Canada, there are many patients which use homeopathy to get themselves treated. This shows despite being a secondary way of treatment it is highly praised in the advanced society of the West. Based in BC the society is highly active to make sure that the patients of homeopathy get a clear vision of what they are consuming and what the effects are. The qualified homeopaths are the part of the organization and they make sure that the best advice is given to the participants of the workshops of the organization. The overall effect of the society is high in the province the patients rate it high. It is all because of the fact that the society is also engaged in high-level advancements in the field. The programs which are organized by this society also shed light on the issues which are encountered if the homeopath way of medicine is used. For the last 12 years, this society has been working to make sure that the best and the most advanced homeopath processes are devised. The homeopathy has been taken to the level which is highly intuitive. Canadian Society of Homeopaths is also engaged in research in the field which will allow the homeopaths to diagnose the disease using the technology field. The society is rated high by the homeopaths of the country and it is all because of the platform which they get in form of this high-end society. 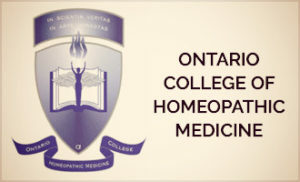 The homeopathy standards are defined by this college which makes it a hub of homeopathy in Canada. There are many students which are currently studying in this college which shows that the college provides high-end studies to its students. The college also standardizes the homeopathy processes. The collaboration with the passed out students is also done so that they remain up to date when it comes to the field of homeopathy. The college was established and works according to Regulated Health Professional Act 1991 and Homeopathy Act 2007.